A while back I wrote a blog post about data driven unit testing with xUnit. Back then a reader had to correct me because I did not think that NUnit had support for such things. NUnit 2.5 added a slew of great features for authoring your own data driven unit tests. 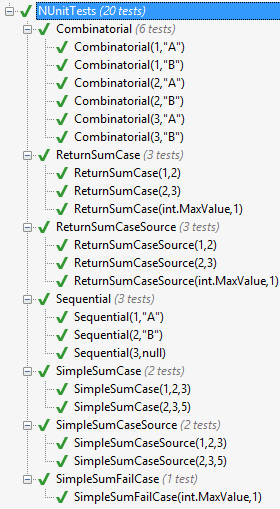 Perhaps best of all is the amazing support that ReSharper offers for the NUnit test cases. 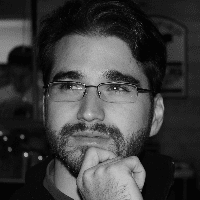 You really should be using these amazing features when authoring your unit tests! // inline data attribute from xUnit. // properties. THIS IS THE KIND OF TEST YOU WANT TO WRITE! // xUnit property data attribute. // method above but using a TestCaseSource. // good use for these, but they are both very cool! // be enumerated and passed in. The third call will be 3 and null.